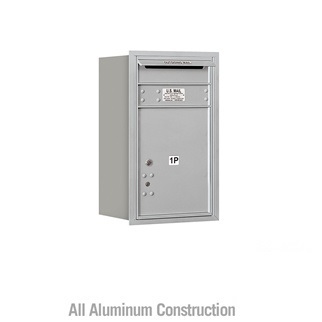 4C horizontal mailboxes are U.S.P.S. Approved and meet USPS-STD-4C specifications. 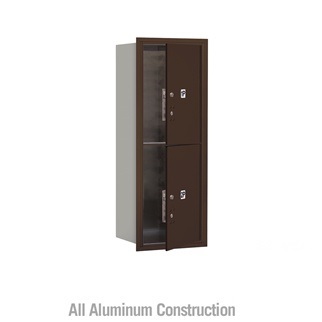 4C horizontal mailboxes are required for wall installation mailboxes for new construction and major remodels. USPS-STD-4C regulation requires a one parcel locker for every ten tenant compartment ratio. 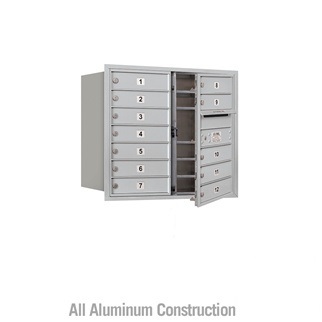 4C mailboxes are constructed of heavy duty aluminum and stainless steel hardware and are warranted for indoor or outdoor use. 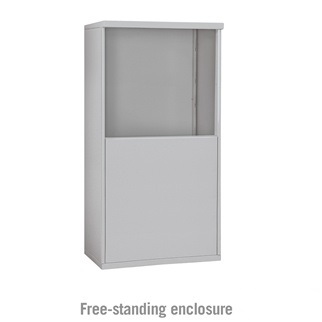 The" Outgoing Mail" compartment is equivalent to two 3-1/4' high standard doors and is used for outgoing mail collection & as a master access door. The outgoing mail compartment includes a 10-3/4" W x 3/4" H mail slot and weather protection hood. 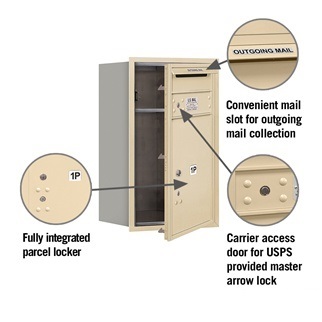 Package locker comes equipped with captive lock for USPS package delivery system. 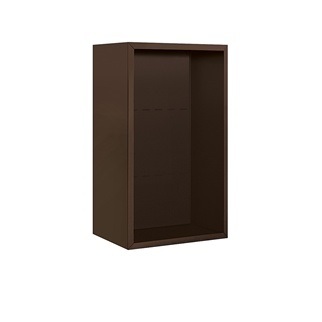 Units include factory installed 3/4" W x 1/4" D trim.